Dartmouth should push back against Laura Ingraham’s comments. Laura Ingraham’s tweet was blatantly wrong. The debate over gun control may be politicized, but no one should allow the support for student activists — and survivors — to be dragged through the mud by conservative media. In reaction to Ingraham’s comments, David Hogg led a boycott campaign on social media advocating for corporations to vacate their advertising deals with “The Ingraham Angle” on Fox News. Numerous companies ordered their advertising spots to be discontinued during her primetime show. After advertisers began pulling out one by one, Ingraham issued an apology. She tweeted on March 29, “On reflection, in the spirit of Holy Week, I apologize for any upset or hurt my tweet caused [David Hogg] or any of the brave victims of Parkland.” The apology was short-lived as she immediately pivoted into praising herself and her show by proclaiming, “I believe my show was the first to feature David … and even noted how ‘poised’ he was given the tragedy. As always, he’s welcome to return to the show anytime for a productive discussion.” The apology was far more than simply tone-deaf. By failing to admit her comments were undeniably inappropriate, Ingraham revealed the true content of her character. She had a chance to right the ship — but she didn’t. That speaks volumes about her character and cannot go unnoticed. Baselessly attacking students — especially those who found themselves at the other end of an AR-15 a little over two months ago — should be universally regarded as abhorrent to this nation’s values. But more importantly, it directly contradicts Dartmouth’s mission. A personal attack on David Hogg by Ingraham is an attack on all student activists — even those here at Ingraham’s alma mater. 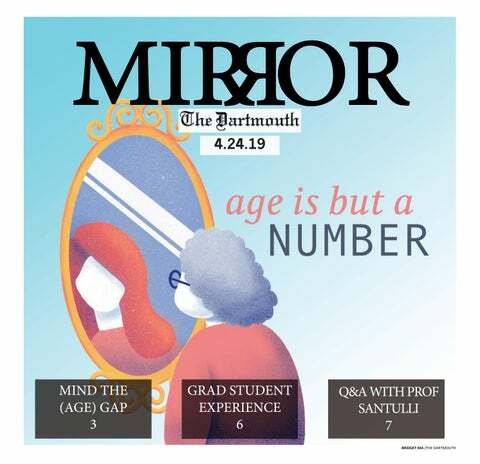 The campus community must reject Ingraham’s comments as completely unreflective of the values which Dartmouth aims to instill in its graduates and call for College President Phil Hanlon and the administration to do the same. This is not the first time Ingraham has come under public fire for her actions. As the editor-in-chief of the Dartmouth Review in 1984, Ingraham orchestrated the outing of several gay students on campus by having a Gay-Straight Alliance meeting secretly recorded. Later on, she published the names of those present at the meeting — in some cases revealing the sexuality of the students to their families and friends before they were able to come out themselves. This is not about right or left. This is about right and wrong. Ingraham does not represent Dartmouth. Silence from the administration in the wake of her comments will reveal that the school values having an alumna as a Fox News host more than the activism of students both here and around the world. I recognize the hesitancy of any institution to censure their alumni. Some may argue that a college has no place deciding what is acceptable or not for their graduates to say or do, and surely there have been many controversial Dartmouth alumni. But this is a situation unlike any other. This is a time of incredible polarization, and institutions like Dartmouth must lead the way in fighting egregious incivility. And it is the College’s responsibility to act when the repugnant behavior comes from those holding a Dartmouth degree. As Martin Luther King Jr. said, “A time comes when silence is betrayal.” Students must rise up to defend their peers from baseless, petty attacks. And as an institution, Dartmouth cannot stay silent and betray its most valuable asset — students who speak out and change the world. Sinegal is a member of the Class of 2021.